Their age gap does factor in. 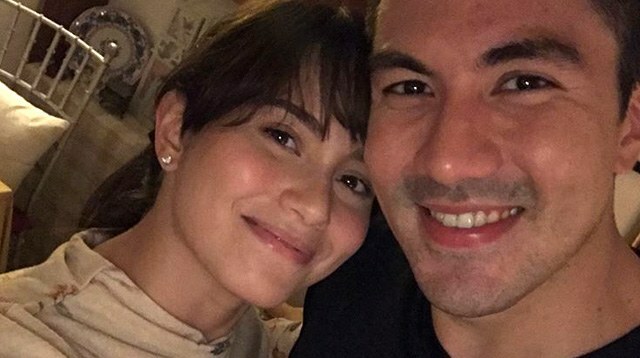 It may not seem like it, but Luis Manzano and Jessy Mendiola have over a decade between them in terms of age—11 years and seven months to be exact. Luis, 35, was asked by the press earlier this week on his plans to settle down with his girlfriend who only turned 24 years old in December. "I'm not forgetting the fact that she's only 24 and I'm turning 36 on April 21st," he said in a report by ABS-CBN. "Para sa akin, I completely understand the fact that she still has so much responsibilities for herself, for her family, and I will never take that away from her. I respect her timetable the same way she respects my timetable." He added, "But when she's ready, I'm definitely right by her side. We're definitely taking our time." Their age gap may seem quite big for most, but Luis, who acknowledges their differences, said that they do get along—and age has nothing to do with it. "I mean her being a bata, medyo bata pa talaga siya, iba ang mentality niya. 'Yung sa akin naman, [despite] being a bit on the old side, we still get along. You think na bata 'yan, baka we are not on the same wavelength, pero we are."